Oppaymolleah's Curse. General Braddock's buried gold. The original man of steel, Joe Magarac. Such legends have found a home among the rich folklore of Western Pennsylvania. Thomas White spins a beguiling yarn with tales that reach from the misty hollows of the Alleghenies to the lost islands of Pittsburgh. 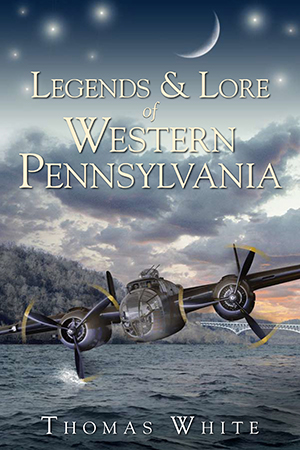 White invites readers to learn the truth behind the urban legend of the Green Man, speculate on the conspiracy surrounding the lost B-25 bomber of Monongahela and shiver over the ghostly lore of Western Pennsylvania. Thomas White is the university archivist and curator of special collections in the Gumberg Library at Duquesne University. He is also an adjunct lecturer in Duquesne's History Department and an adjunct professor of history at La Roche College. White received a master's degree in public history from Duquesne University. Besides folklore and western Pennsylvania, his areas of interest include public history and American cultural history.